May 1, 2017 by Warren Woodberry, Jr. 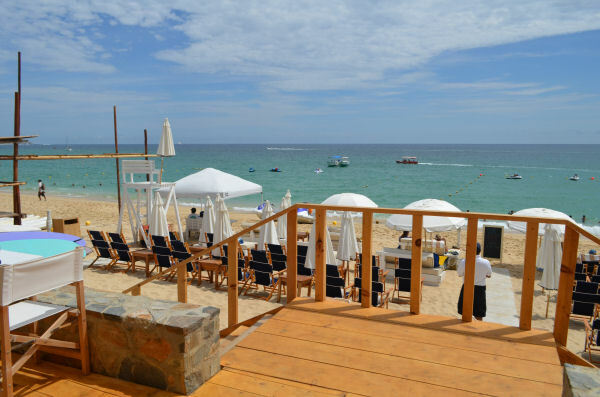 The most swimmable shoreline in all of Cabo is the perfect location for SUR Beach House by Bar Esquina, where this heavily trafficked beach is the place to come and be seen. This casual, chic, and versatile retreat on Medano Beach has a bit of a Miami or Hamptons scene. Diners arrive by boat, bikini-clad swimmers frolic in clear blue waters and sun worshipers lay shoulder to shoulder on soft, warm white sand. Most just lounge, resting in white and navy deck chairs as they gaze at the shoreline. 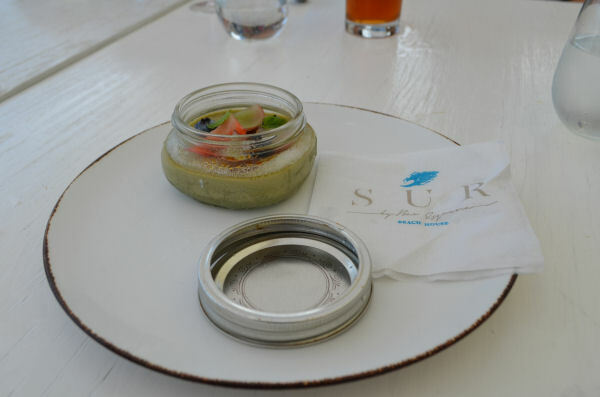 SUR is part of the Bahia Hotel & Beach House. In many ways it feels like a spacious private beachfront residence rather than a traditional beach club. People can start the day with incredible views of the beach in a yoga class, sunbathe on the sand, share delicious food and drinks, do stand-up paddle boarding host a private event or shop. 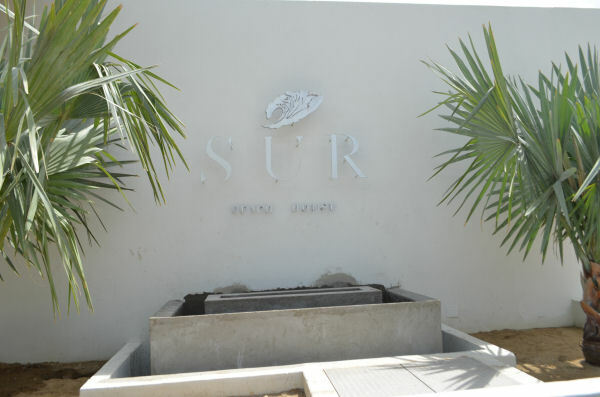 SUR is a great destination for the active traveler and those into water sports. 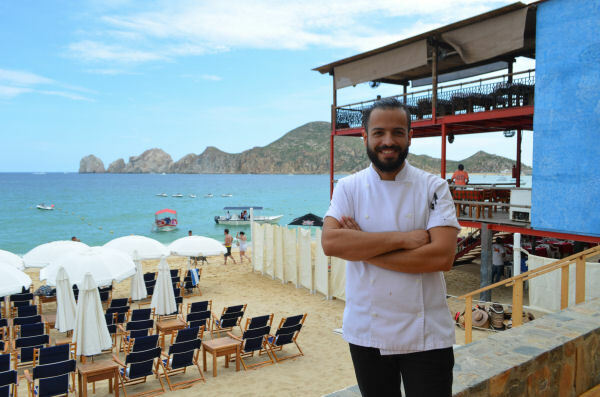 Executive Chef Andres Bracamontes’ menu features all-new dishes that draw on the inspiration of Medano, showcasing Mexican flavors with Asian and Peruvian influences. Situated in the bustling Medano Beach District, SUR boasts a stunning back drop of Land’s End and Cabo San Lucas Bay. The entire rooftop can serve as a space for weddings rehearsals, product launches, parties and business meetings and private gatherings. 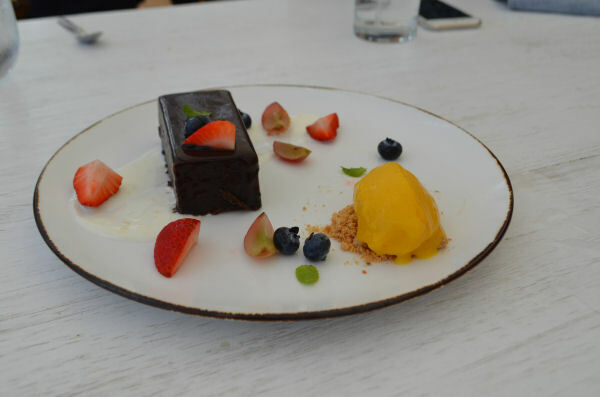 Its become known as the hippest gathering spot in town thanks to its market-driven menu and personalized service. Bar Esquina is one of the most popular gathering spots for locals and tourists. Bahia Hotel announced its new beach house in June 2016. It has since been constantly busy and is probably one of the most scenic beaches in Cabo.